Dr. Tamika L. Ledbetter serves as the commissioner of the Alaska Department of Labor and Workforce Development. Under her leadership, the department serves to provide safe and legal working conditions and advance opportunities for employment. Dr. Ledbetter held several key positions with the department prior to becoming commissioner. She began her career with the State of Alaska in 2007 as a career development specialist. After two years, she left to become manager of the Mat-Su Job Center, a role she held for eight years. Most recently, she served as regional manager for the Anchorage/Mat-Su Economic Region. 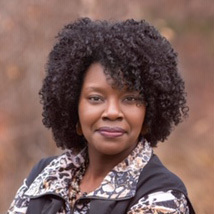 Her background as a community leader, dynamic public speaker, and human performance improvement consultant have complimented her experience as a workforce development professional for over 12 years. As a United States Air Force veteran, Dr. Ledbetter served during Operation Iraqi Freedom. After she and her family transferred to Elmendorf Air Force Base in 2003, they decided to make Wasilla their home. She holds a Bachelor of Arts in History/Political Science, a Master of Arts in Education/Adult Education and Training, and a Doctor of Management in Organizational Leadership. Dr. Ledbetter serves on several nonprofit boards and community organizations, and she is also a member of two academic research organizations. She and her husband Fred are most proud of their children: their 13-year old daughter and two sons who are active duty in the United States Marine Corps.